Breach & Clear: Deadline is a follow-up to the original Breach & Clear game, keeping the same hybrid tactical shooter style while adding tons of new features. A new humanoid monster is on the loose, and the only one who can stop it is you. (And your friends. And anyone else who buys the game.) Take control of a squad of elite Special Forces operatives whose only goal is to track down the source of the infestation and send it back to the void from whence it came. Preferrably in a blaze of gunfire and explosions. 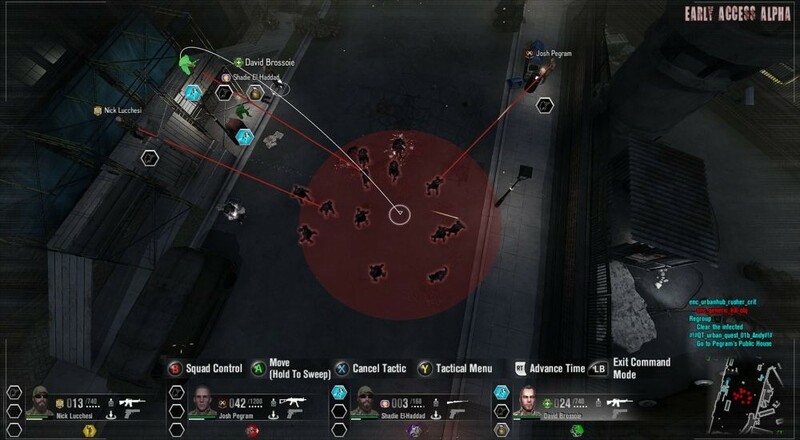 Deadline's gameplay focuses on tactical control of your squad as you attempt to stave off the hordes and search for loot. It features an open world divided into districts that players can explore as they see fit. Dynamically generated areas ensure there's always something new to be seen, and plenty of side quests will give you reasons to head out for some more adventure-shooting. Resources are limited, making this a little more of a struggle for survival than a bullet-filled shoot-a-thon. Co-op supports four players online and was actually added to the game after players politely requested it over and over and over again. The developers listened and complied, and now we've got a brand new tactical zombie shooting co-op game to enjoy! Page created in 1.5227 seconds.